This past weekend I conducted my first “Digital Art Class” with Capital Photography Center. The course helped guide participants in seeing photography as an artist would and how to begin the process out in the field when capturing an image. This past week I visited my favorite Tundra swan flock and noticed that there were two swans sleeping next to each other. Upon seeing them, I imagined what I would do in the Digital Art room once I brought the image home. Here is the original image with some basic Lightroom edits including contrast, clarity, noise reduction and softening of the color saturation. Recently I had been given a set of Lightroom Presets to review from SleekLens and the set I was provided is from their Through The Woods Workflow collection. This collection includes 51 Develop Presets and 30 Brush adjustment presets. With the current price of $39.00 this preset collection allows you one-click photo editing to help speed up your photo processing. I’m quite familiar with using Lightroom presets and already have a nice library of presets I’ve obtained from other sources. Upon receipt of the collection, specific instructions on how to load both the Develop presets and the Brush presets into the proper Lightroom folder is included. It was simple for me to add the Develop presets to my current preset folder and they quickly appeared in Lightroom after closing it and restarting the program. The Brush presets was a little more challenging for me. Once I realized that if I had only read their instructions properly, all I had to do was close Lightroom, then then add the presets to the desktop folder for them to be added to Lightroom. It didn’t take long for me to figure it out, and Sleeklens provides plenty of support if you run into trouble. Included with the collection is a sample workflow that you can follow. The Develop presets are stackable, which is unique from other preset packages I’ve obtained. Now that I’ve had Sleeklens’s Through the Woods collection for some time, I’m finding that I don’t gravitate to using their Brush presets as they just don’t fit into my workflow. There are a few brushes in there such as Subtle Clarity and Cloudy Sky Definition that I like. Within the Develop presets, I particularly like their vignettes as they’re softer than the other ones I already have. There are also some presets that I am really enjoying such as Morning Light and Down to a Whisper. 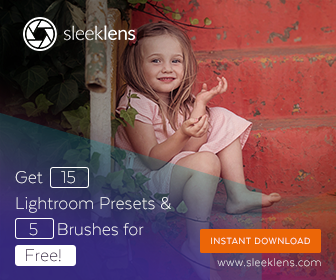 In visiting The Sleeklens website they offer a wide selection of plug-ins for both Lightroom and Photoshop. For Lightroom, they have both Develop Presets and Brush adjustment presets. They are batched in collections and workflows. For Photoshop, they offer Photoshop Actions, Overlays and Textures. But it doesn’t stop there. They also offer Photographer templates that are excellent for aiding photographers in their marketing materials. Going further, Sleeklens offers a large library of video tutorials and blog posts that you can watch and read to aid you in learning how to use their products in your digital image processing. They also offer some free presets for both Lightroom and Photoshop that you can try out to see if you like their products. Finally, one particularly nice thing Sleeklens does is to give back to a selection of chosen charities. Each month they rotate which organization will receive donations. If you’re looking to add a creative element and to ease your image processing in the digital dark room, then take a look at Sleeklens and what they offer. Now back to our little sleeping swans. After my initial Lightroom edits, I then applied the Sleeklens preset “Morning Light” preset to the image and then exported the image into Topaz Impressions to add a painterly effect. Disclaimer: This product review was unsolicited and voluntary. 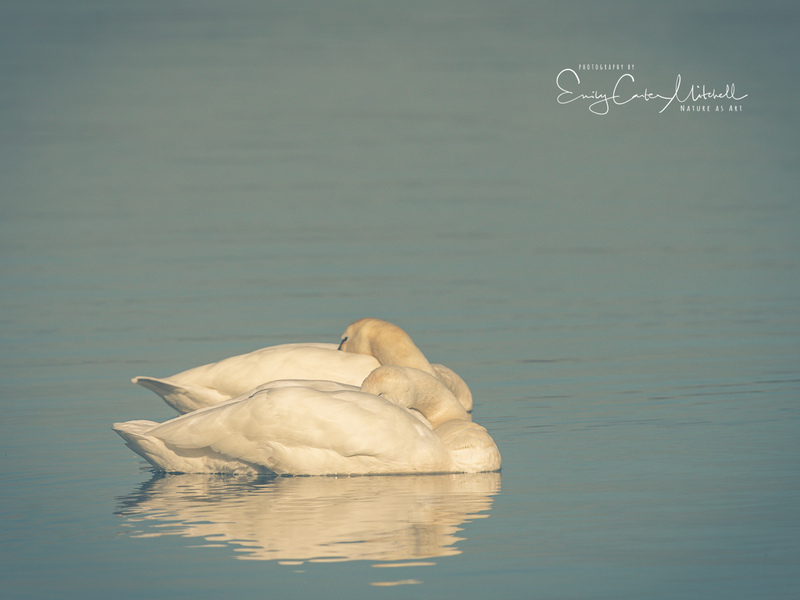 I was provided the Lightroom presets by Sleeklens for an unbiased review to be presented on this blog. This review is my personal review of this product. Makes me want to nap near a lake 😋 Very beautiful! That is such a dreamy idea. Better yet, get a cute little row boat and nap on the lake. Thank you Ilex! What lovely sleepy heads! And the great news today is that our pair of swans who nest in the park behind my house only returned yesterday, so we can expect a new brood of cygnets in tje next dew months. Oh my ! How very exciting is this Fatima ! Lucky you to be able to enjoy baby swans. How absolutely beautiful – such a wonderful capture! You are truly too kind Joanne. Thank you very much. What a wonderful result ~! Thank you so much, your feedback is much appreciated.